University House, UC San Diego. Copyright friendsofsdarch. UCSD Audrey Geisel University House Rehabilitation, La Jolla. A 1951 Pueblo Revival Mansion made of unreinforced adobe sitting atop an unstable coastal bluff, surrounded by old sacred burial ground. Architectural Rehabilitation, ADA, Seismic Stabilization, 2013. Ione Stiegler, Architect. Photographer Larny J. Mack. On January 25, 2016, the US Supreme Court declined to hear a case brought by three scientists against the University of California. The scientists were seeking to study the DNA of two human skeletons discovered by an archaeological team in La Jolla in 1976 and now held by the San Diego Archaeology Center in California. Radiocarbon dating identified the remains as between 8,977-9,603 years old. The skeletons were found intact in a double burial; a male, aged 33-44, and a female, aged 40-54. The two skeletons are some of the oldest human remains found in North or South America. A collective organization of twelve Southern California Indian tribes, known as the Kumeyaay, claimed the skeletons belonged to them and that only they could allow scientific study of the remains. The tribes say they have sought repatriation of the remains for more than 20 years. The University originally intended to hand the remains over to the tribes in 2012. Three University of California professors filed a lawsuit in April 2012 to block the transfer. The scientists, Margaret Schoeninger, Robert Bettinger and Timothy White, stated that today’s scientific techniques could provide significant new information on the history of human existence on the North American continent through analysis of the skeletons’ DNA. 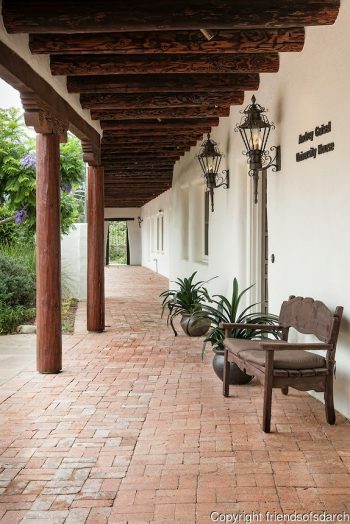 The bones were discovered at University House, the La Jolla home of the chancellor of the University of California at San Diego. 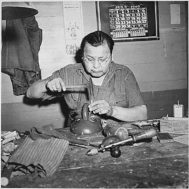 The Native American Graves Protection and Repatriation Act, passed in 1990, fourteen years after the discovery of the skeletons, established the right of contemporary federally registered tribes to claim human and funerary remains of related ancestors, and required all institutions receiving federal funding to catalog and offer such Native American materials for return. The law does not specify or determine a means of specifying how far back in time such ancestors could exist, or how a relationship between a contemporary tribe and extremely ancient remains could be established. 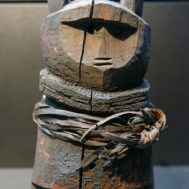 Claims may be made by culturally affiliated groups with a shared group identity that can reasonably be traced historically or prehistorically between members of a present day Indian tribe or Native Hawaiian organization and an identifiable earlier group. The University of California was concerned that another tribal entity could legally claim the remains; the university completed an inventory and investigation of the remains in December of 2011, making a formal determination that the remains were ‘culturally unidentifiable,’ and should therefore be given to tribes on whose aboriginal lands they were found. 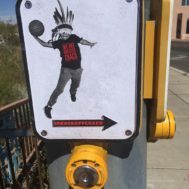 The university found that there was not a significant preponderance of evidence to support an affirmation of cultural identification or affiliation with any modern group. The three professors objected and sought to retain university possession for scientific study. Several attempts at mediation took place, and after these failed, the three professor filed suit against the university to stay the return of the bones. The Ninth Circuit Court of Appeals heard the suit and dismissed the case in August 2014. The Supreme Court’s decision to deny certiorari ends all appeals. 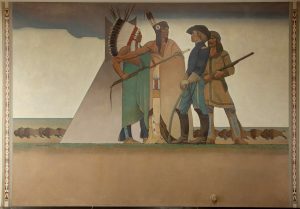 Example of historically revisionist imagery: Mural: Bureau of Indian Affairs: Indian & Soldier, by Maynard Dixon at the Department of Interior, Washington, D.C. The Kumeyaay tribes are the Barona Band of Mission Indians; Campo Band of Kumeyaay Indians; Ewiiaapaayp Band of Kumeyaay Indians; Inaja-Cosmit Band of Mission Indians; Jamul Indian Village; La Posta Band of Mission Indians; Manzanita Band of Mission Indians; Mesa Grande Indian Reservation; San Pasqual Band of Mission Indians; Iipay Nation of Santa Ysabel; Sycuan Band of the Kumeyaay Nation and the Viejas Band of Kumeyaay Indians. 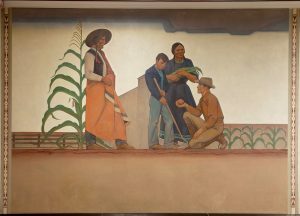 An excellent reference list of links with documents, teaching materials, and press related to this matter prepared by US San Diego professor Ross Frank may be found here.